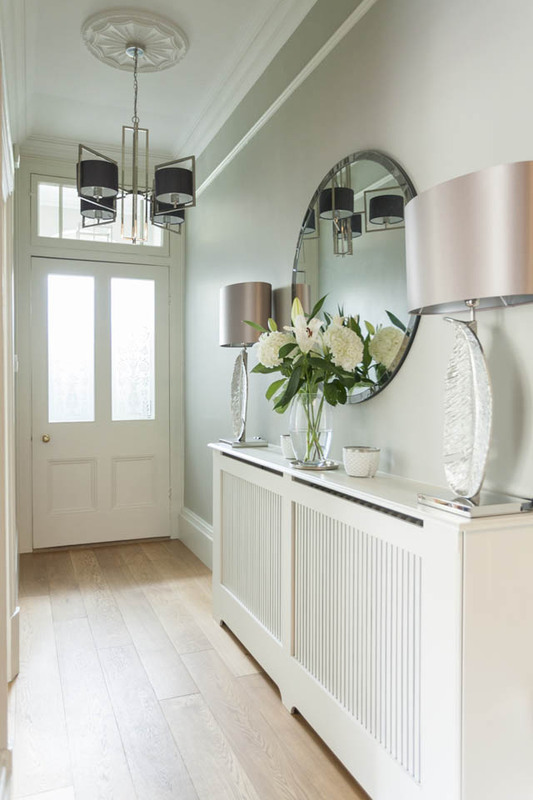 Brief – To freshen up and modernise the entrance and hallway within this stunning Victorian Villa. 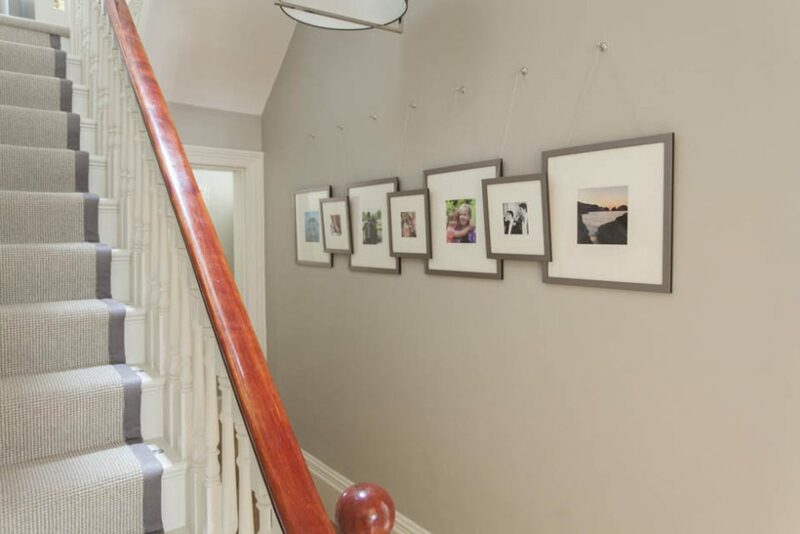 Effective lighting was a must not only as a focal point but to illuminate what could be a dark corridor and landings. 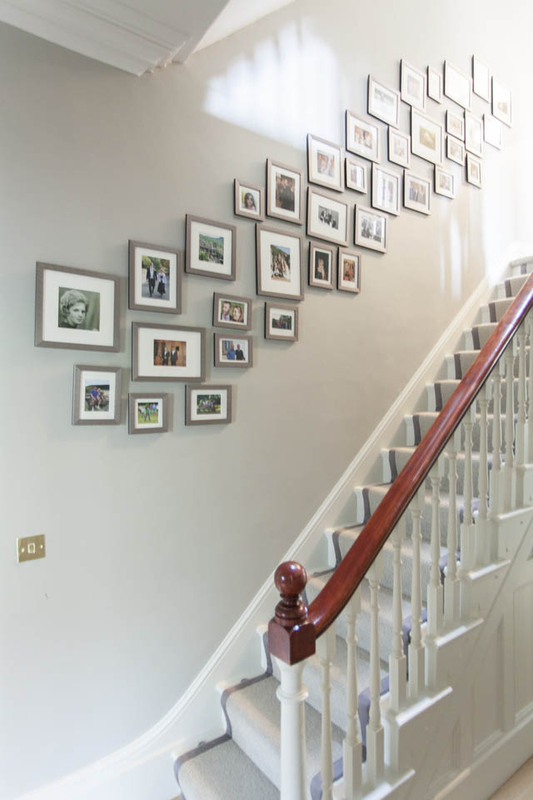 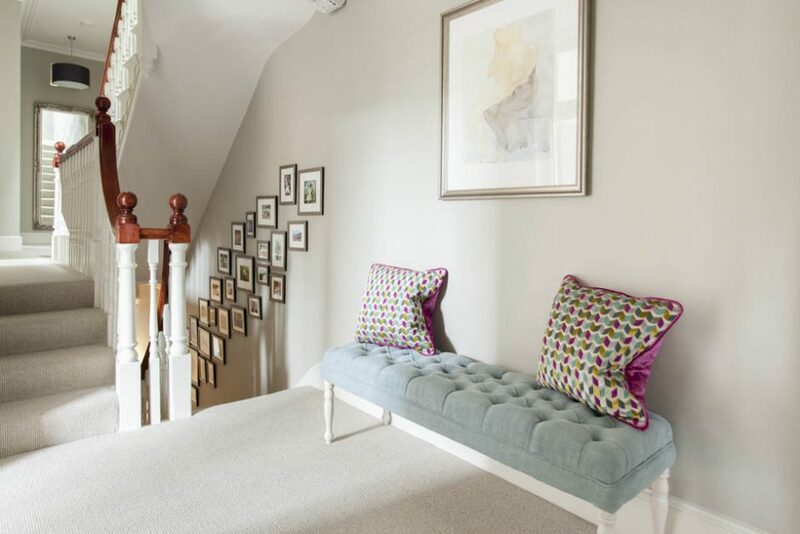 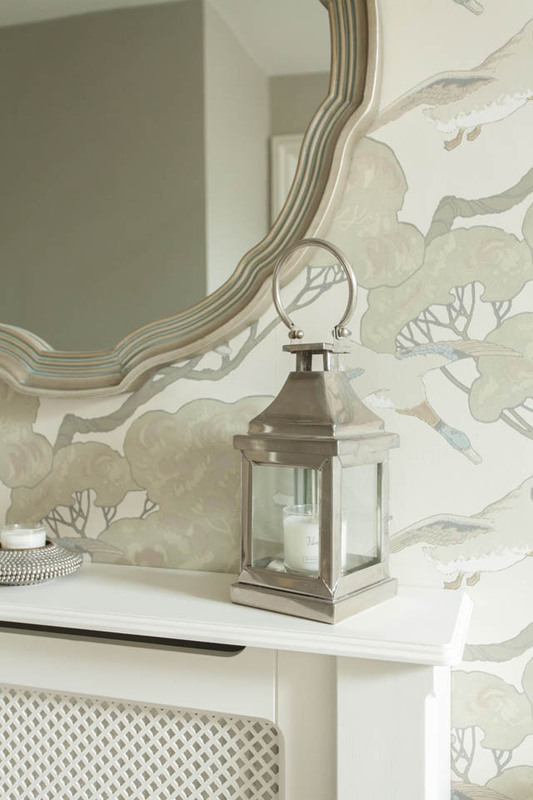 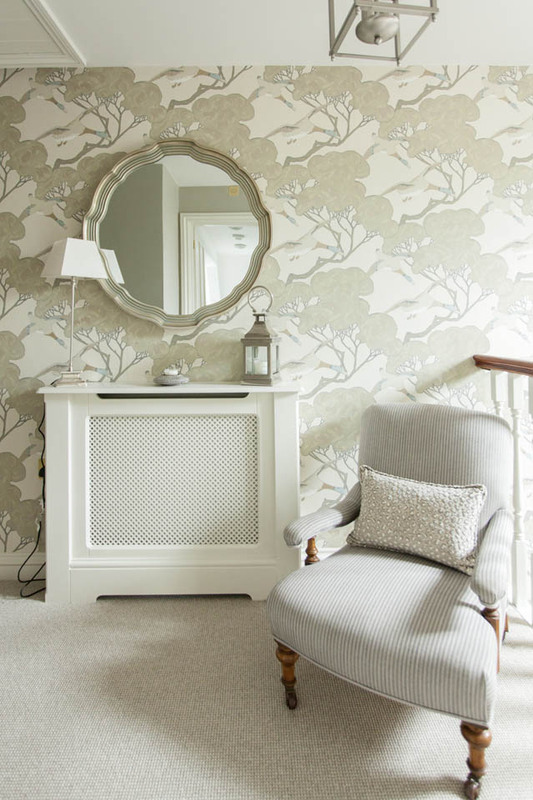 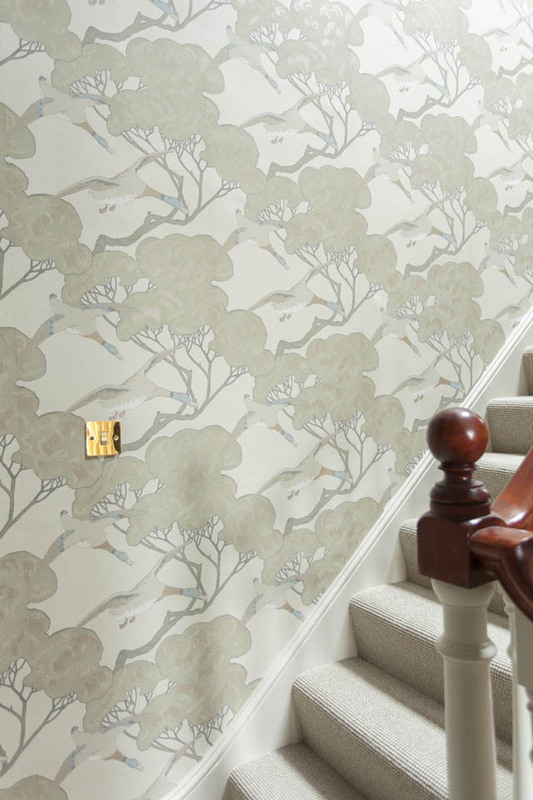 A feature wallpaper on the second floor adds a real element of surprise as you travel throughout the house whilst the modern bespoke frames create an attractive display of the client’s family photos on the ground floor.